This year, resolve to take time for self-care. If you haven’t heard the term self-care, it’s all focused on taking time to pamper yourself, your body, and your mind – so that you can tackle life and all its difficulties with as much ease and comfort as possible. Rather than indulge for indulgence’s sake, taking care of yourself and your body actually makes you more productive. Taking rest and taking time to indulge make you more ready to face challenges, and more refreshed so that you can be your truest and most graceful self in your day-to-day life. This year, resolve to treat yourself right. Treat your body well – with healthy food and spa treatments, spend time walking outside and viewing natural sights, and use your spare time wisely to reflect on your thoughts and feelings. Below are several things you can add to your routine, in order to treat yourself right and invoke all the benefits within. How can you stop craving junk food and sweets and eat more healthfully instead? The key is to add items to your diet, not detract. Try to eat fruits and vegetables for every meal, especially if you’re craving something sweet, and your taste buds will gradually change. You’ll start to crave fruits instead of overly-sugary treats. Stay patient and make eating right a lifelong goal! Start with making a morning fruit smoothie instead of a bagel, and focus lunch on dinner on lean meats and fresh vegetables. 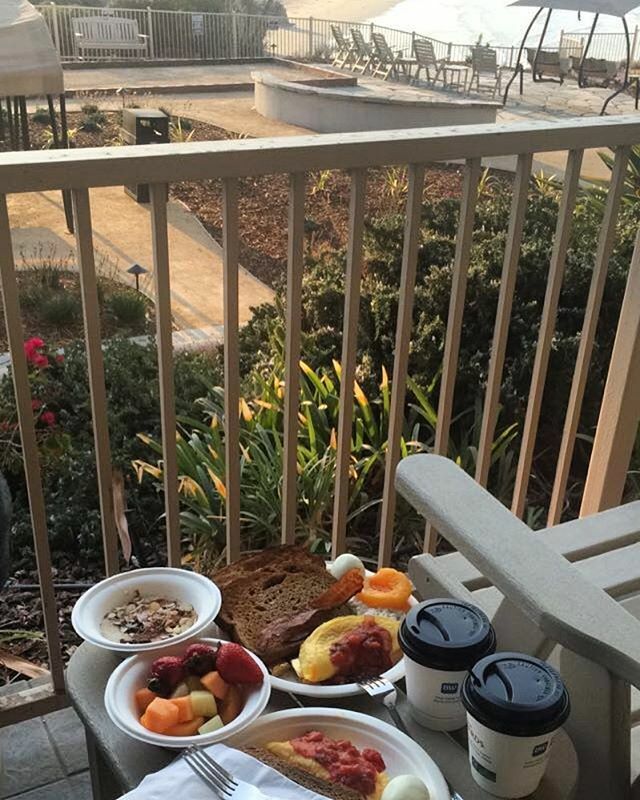 Eating right affects the body and mind, and good, healthy food makes you more productive and more energetic—so start the day right with a balanced, complimentary breakfast at any of the Martin Resorts properties during your stay. Sleeping well is one of the best things you can do to improve your quality of life. The average American needs about seven to nine hours of sleep a night, but most actually sleep six or less. If you don’t sleep enough, make this a priority. Put your phone in another room at night, because studies have shown that having electronics near your bed conflicts with normal sleep patterns. Use a real alarm, instead of your phone. Try reading before bed, and avoid caffeine after 5 pm. 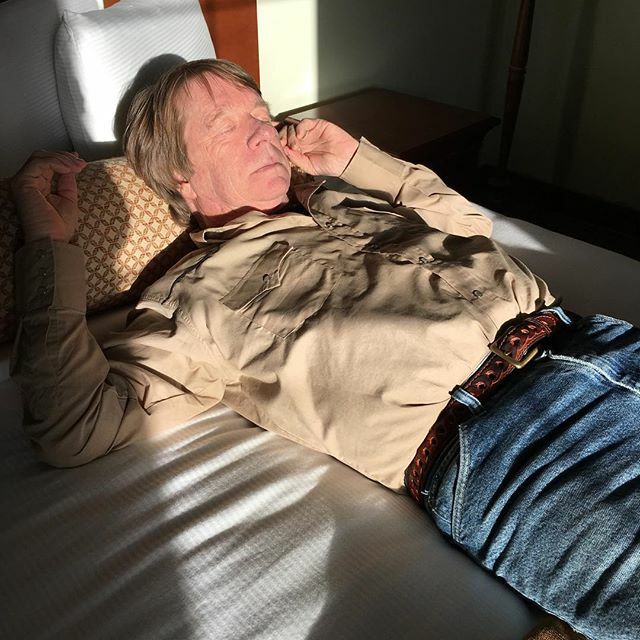 Additionally, we have some other tips for sleeping well in another blog. Whatever techniques might work for you on occasion, build them into your nightly routine so that you can consistently get that full 8 hours that will make you healthier and happier. Treating yourself with skincare items like face masks, facials, and sunscreen is great for your the health of your skin, but these rituals are also very satisfying and pleasant to experience. 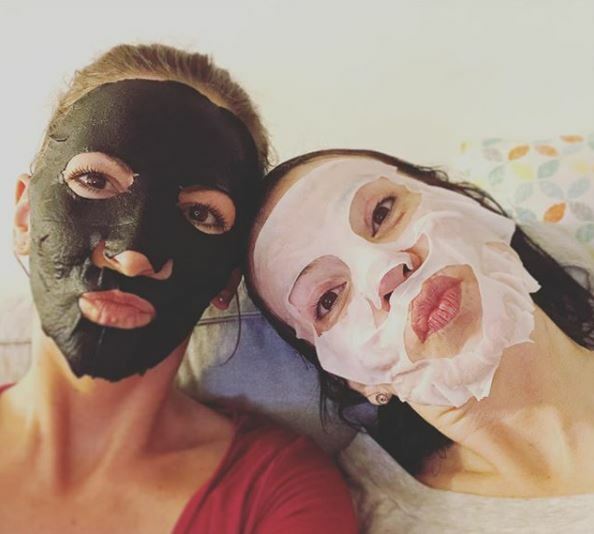 There are, quite literally, thousands of different face masks on the market today that range from tangibly fun to use to clinically proven to improve skin clearness. Whatever your issues with your skin are; dryness, clarity, excess oil, there is a face mask to remedy that. Additionally, there’s nothing better than visiting a spa to get a professional facial, and many men and women have loved the experience so much they add it to their weekly or bi-weekly routine. 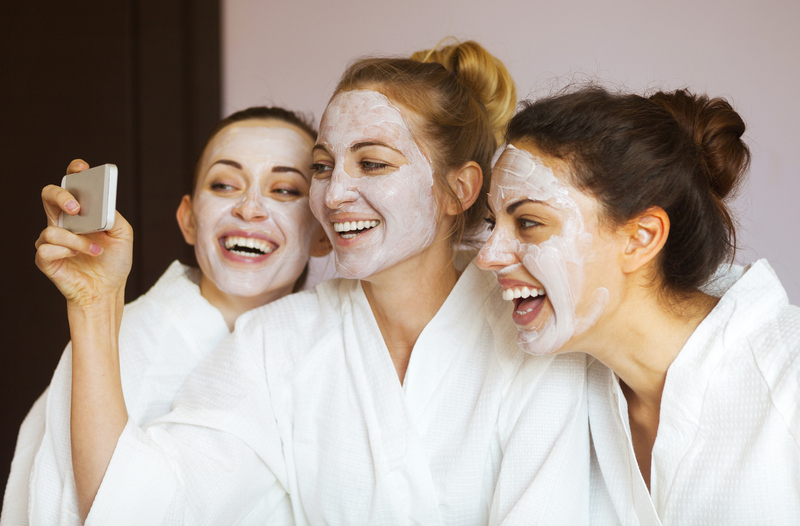 At all of our hotels, we offer in-room spa services, like facials. Add a pampering facial to your relaxing stay today! Taking a spa day is the best way to treat yourself. Get a massage, facial, manicure, and more to take the pressure off yourself and feel rejuvenated. Many people think that visiting a spa is a luxury activity, but the benefits of spas, especially massage, speak for themselves. Why wouldn’t you want to spend money on something that goes directly back to you and helps heal your body from the traumas of physical life? Take the time today to visit one of our spas, pamper your body, and you’ll feel the calming benefits—while saving big! 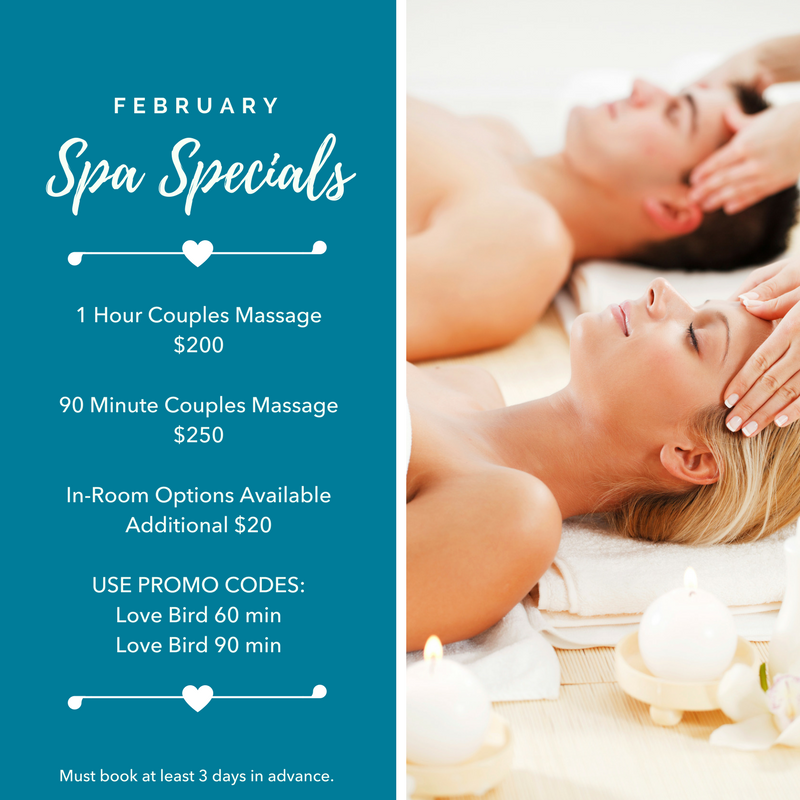 Book one of our spa specials below before February is over and you’ll rest even easier.